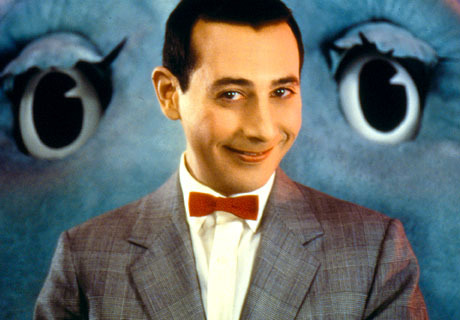 I turned over to the Cartoon Network after 10 last night to see none other than Paul Reubens in his Pee-Wee Herman glory. That was a strange show. I loved it when I was a kid. Watching it last night made me realize how insane it was. It made no sense whatsoever. It had no plot. It was pure eye-candy from start to finish. Eye-candy with an overwhelming amount of recurring characters. Chairy and Conky were my favorites. Pterry was cool, too. Magic Screen complained too much, and the head in a box gypsy thing was just plain scary, with his "Mekka lekka hi, mekka hiney ho!" chant.